When you pack for a trip, do you find yourself packing 50 pounds of luggage for a weekend trip, only to find that you still don’t have the perfect outfit? 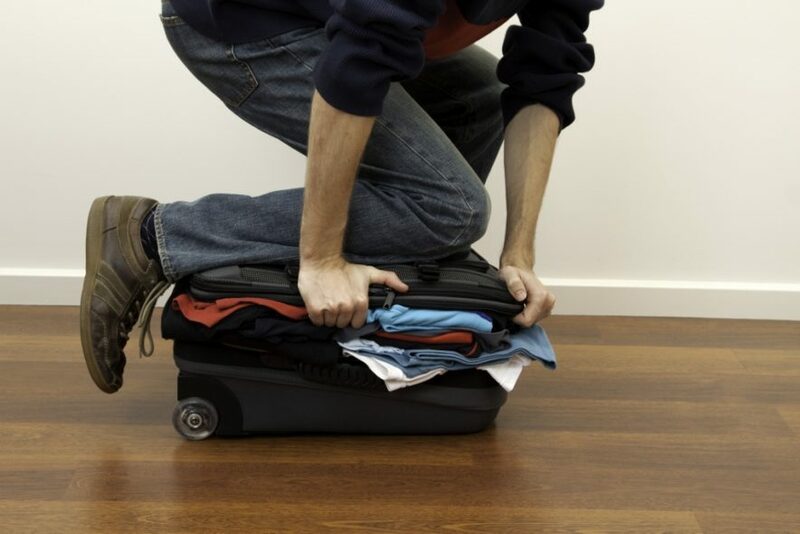 Have you ever arrived to your destination, only to find your clothes all wrinkled or – worse – no luggage at all? If this scenario seems familiar to you, then read on. It is to your advantage to pack light. All it takes is a little planning, selecting and taking only what you need. Instead of trying to pack your whole closet, think of packing strategically. First, you don’t need a completely different outfit for every day. Think about mixing and matching, or items that do double duty – such as sandals doubling as slippers. Limit your colors. Pick clothing that does not need to be ironed — like knits, lycra and denim. Lay out everything on your bed. Does it all mix and match? Don’t forget about the shoes! It’s a tough call, but limit your selection to 2-3 pairs. Wear your chunkiest shoes en route to help lighten your bag. When packing your shoes, utilize show bags to keep them separate from your clothes. My tried-and-true method of packing is plastic bags. I place all hanging garments on thin hangers and cover with plastic dry-cleaning bags. Each garment is covered separately and protected. Then, I stack all of the garments on the bed and roll them up. Just hang up when you get to your destination. I never arrive with wrinkles! Zip-Lock bags are indispensable when packing. I use them for everything – toiletries, pajamas, t-shirts, etc. Most hotel rooms have irons and ironing boards, but if not, you can always call housekeeping to deliver one. A spray can of wrinkle release may come in handy. Just spray and use your hand to smooth out the wrinkles. Wear your valuables! Jewelry should never be packed in your luggage. Leave your hair dryer at home. Almost every hotel has one in the room these day, and if not, they will be happy to send one up. Last, but not least, label your luggage inside and out. If you’re en route, put your destination address on the outside label. The key is finding the balance to packing. It really is possible to “lighten up your load” and still feel comfortable on the road. Have fun traveling!